Ever Since The Great Recession, Zombie Houses Have Haunted New Jersey Years after the subprime mortgage crisis, New Jersey has the nation's highest rate of zombie homes — abandoned by their former owners but not yet through foreclosure. Some sit vacant for years. 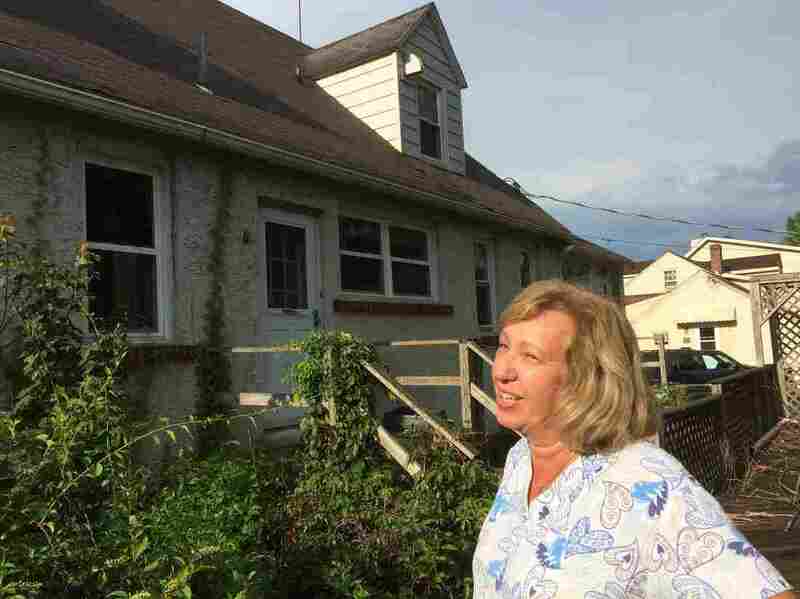 The house next door to Maureen and Michael McCabe has been sitting empty for seven years. "It freaks me out," Maureen McCabe says. "I don't know if there's animals running around there, mice and rodents." Michael McCabe knows what it's like to be surrounded by zombies. McCabe still lives in the neighborhood where he grew up, Woodbury Heights, N.J., a middle-class suburb of Philadelphia. He knows which houses are in foreclosure and which have been abandoned. The latest seems to be right behind his own. "We don't know what's going to happen," he says. "We're kind of prepping, because a gentleman who was there, who rented, came and told us, 'I'm just letting you know: I'm moving. That means the grass isn't going to get cut by me.' And the house is in foreclosure." The U.S. housing market has improved since the end of the Great Recession, but some parts of the country are still haunted by these zombie houses — homes that have been abandoned by their former owners but are still mired in the foreclosure process. No state has more zombie houses per capita than New Jersey. The state has roughly 17,000 zombie foreclosures, according to a report released in June by the company RealtyTrac. The same report says the number of zombie homes nationwide is actually decreasing. But not in New Jersey. The Garden State has the highest zombie rate of any state; New York is nearly as bad. Michael and Maureen McCabe's neighborhood is full of zombie houses, including the one next door. "We don't know what's going to happen," Michael McCabe says. "Those are the states with the two absolute longest foreclosure processes in the country," says Daren Blomquist, vice president of RealtyTrac. Blomquist says the average foreclosure in New York and New Jersey takes about three years to complete — in part, because those states have been aggressive about preventing improper foreclosures. "The unintended consequence is that we see an even longer protracted foreclosure process in those states," he says. With the growing backlog of foreclosures, local officials are having a hard time keeping track. Chad Bruner, administrator for Gloucester County, N.J., says individual towns are having trouble getting even the most basic information from banks. "They call," Bruner says. "And then, 'No, we don't own that property.' And then they call someone else, and they get referred to someone else. So it's a kind of a big circle. It takes days, weeks for this to happen." So this summer, Bruner commissioned an outside company to track all the abandoned foreclosures across the county to help towns make sure these houses don't become eyesores and hassles for the neighbors. 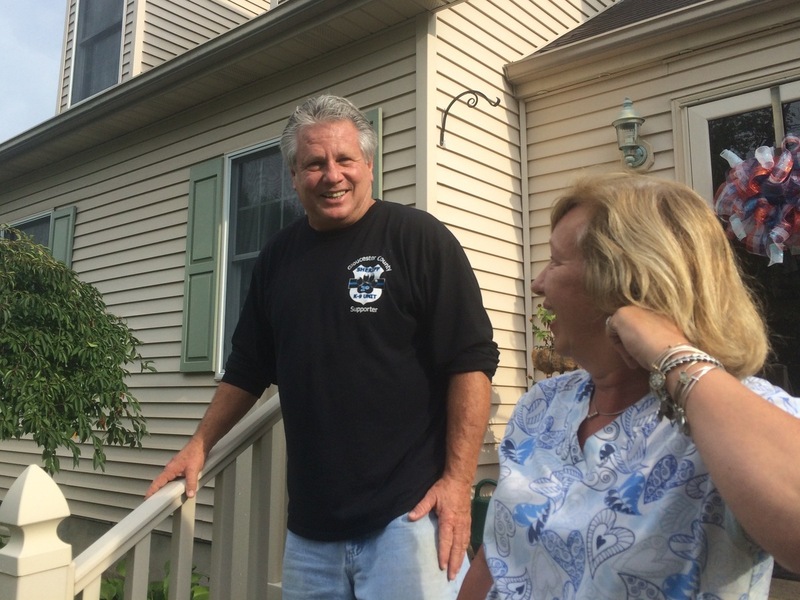 But back in Woodbury Heights, McCabe and his wife, Maureen, are skeptical — after all, one neighbor's house has been empty for seven years. "It freaks me out," says Maureen McCabe. "I don't know if there are animals running around there — mice and rodents — I don't know." She says this used to be a beautiful house. Now it's hard to imagine anyone buying it. One window is boarded up. Where there used to be a garden, there are weeds. She says it's hard to see this house every day and wonder what it means for her neighborhood. "I love my home; I love this town," she says. "I wouldn't want to sell. If I had to sell, I know I wouldn't get the value of what it's really worth."